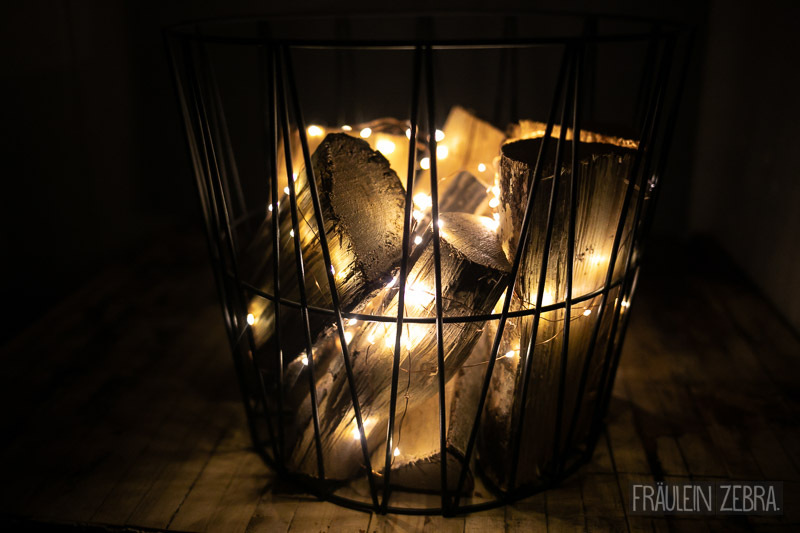 DIY Indoor Fake Fire Basket – Fräulein Zebra. I then I had enough and decided to simply go for fire basket, because you aren’t stupid and surely will understand me without the ultimate name for it. 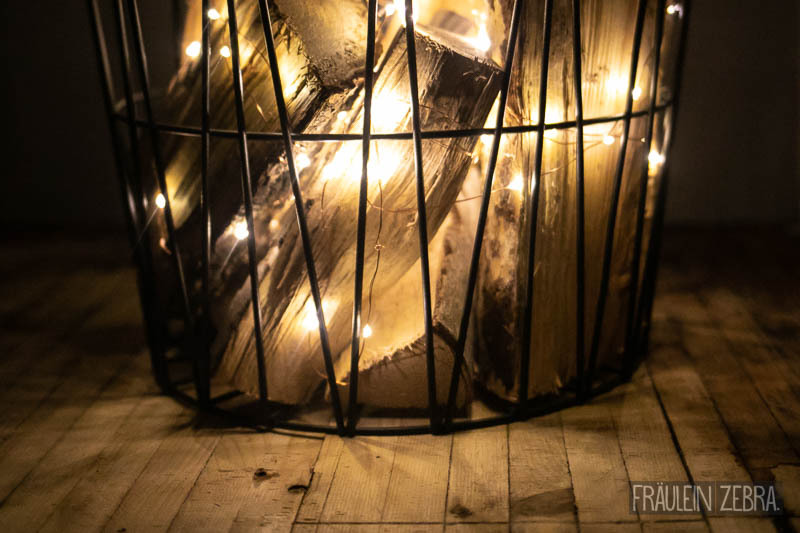 Anyway, the idea behind it is as simple as it is ingenious: With a metal wire basket, a few logs and some string lights you can quickly create a decorative basket that looks as if the pieces of wood are burning in it. 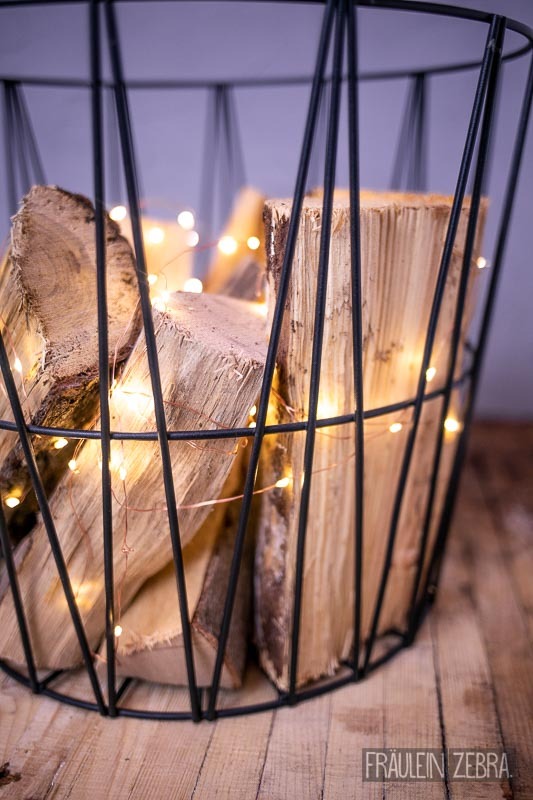 So you can a cosy atmosphere to your apartment in a flash! 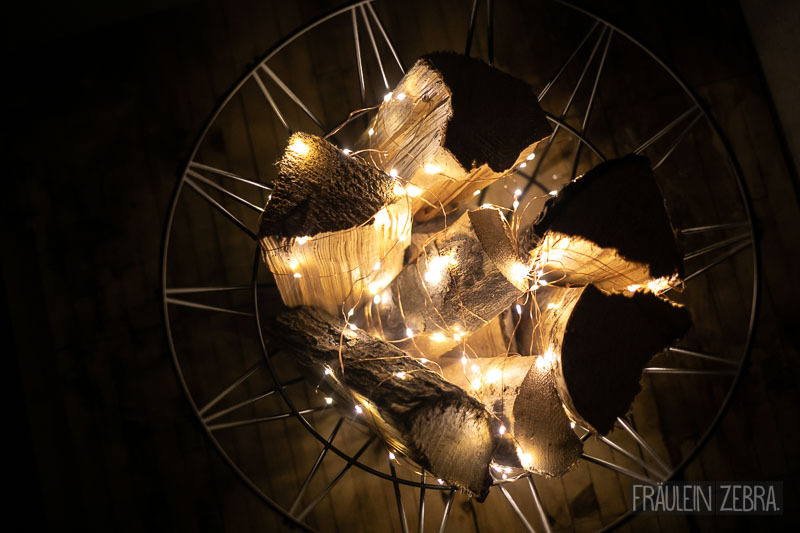 Looks like fire, creates a cosy mood like fire, but it's actually just a clever DIY made of wood and fairy lights. First of all, try how many pieces of wood fit in the basket or how many you want in there. Placed the logs standing upright in a row. 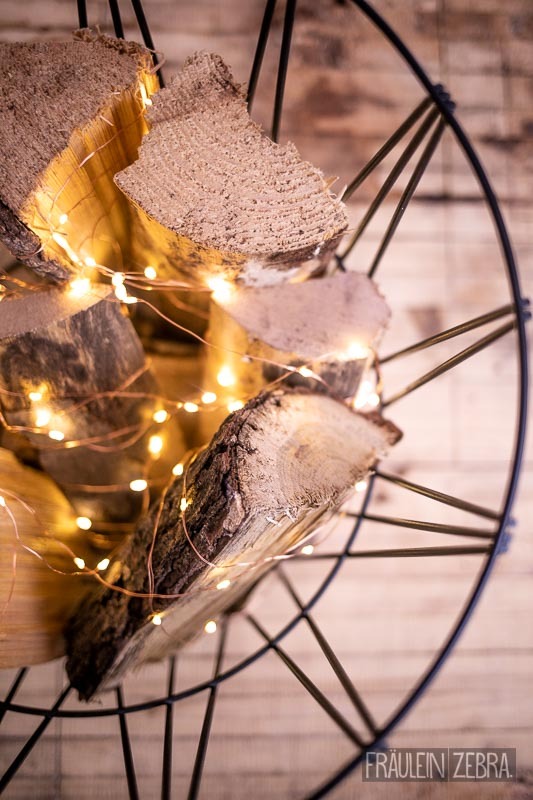 Then wrap the string lights around one log after the other, always wrapping around each piece a few times. 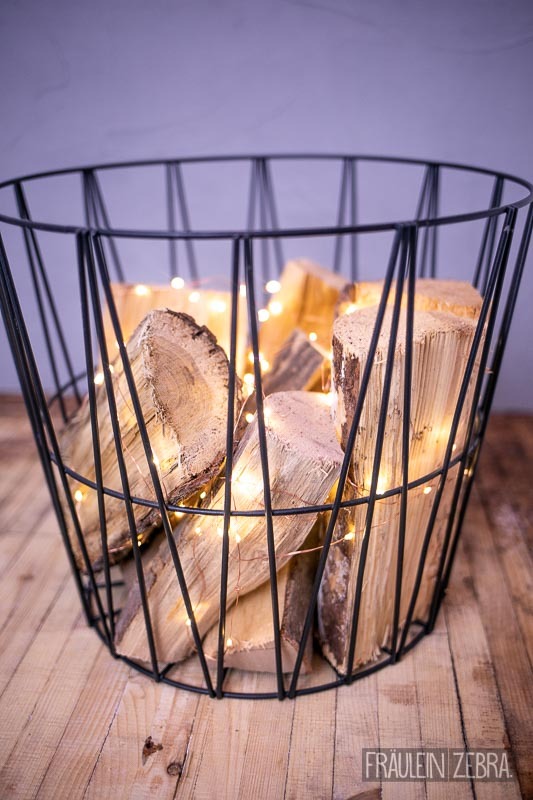 Now carefully place the decorated logs back inside the basket and arrange as desired. Now just turn on the lights and make yourself comfortable! 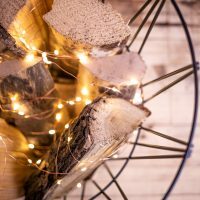 TIP: If you turn on the fairy lights while you are wrapping, it will give you a better overview of how the LEDs are distributed. 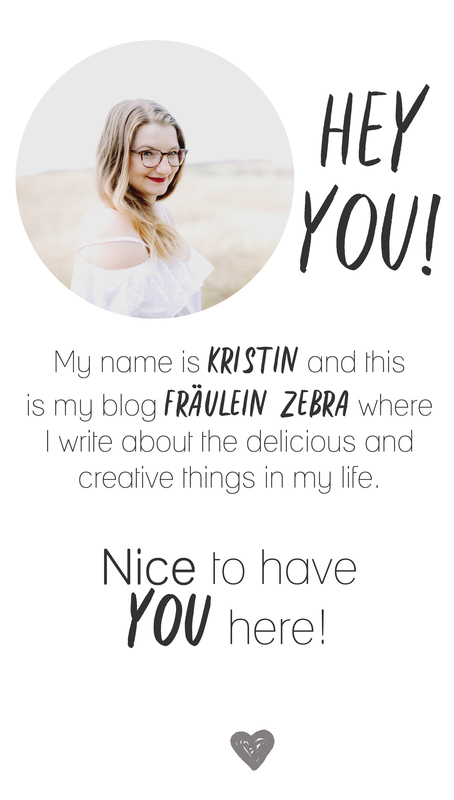 So easy yet quite impressive, I think! I’m having it in my apartment for almost a year now and it’s getting used every evening that we spend at home – it’s love!